Build a flying machine that shouldn't be able to fly at all...and much more! Your kids will be so jazzed about science that they'll be begging to learn more. 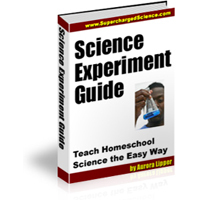 Click here to get the Science Experiment Guide. 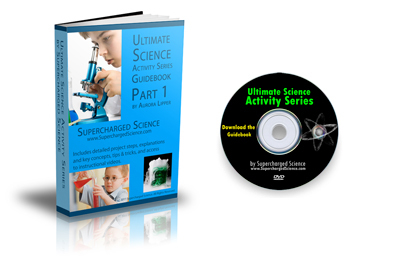 This eBook download comes bundled with the Rocket Scientist Newsletter, which includes a weekly free science experiment in your email box. Price: $25 Get this FREE by signing up! Cool science experiments! Did you know that you can bend light to make objects disappear? Make the fourth state of matter in your microwave? Build a speaker from a plate? You can do all these activities and more in our free Science Guide! Price: $30 Click here to order. Five more cool science experiments! Construct flying contraptions, blast a homemade air horn, twist light through home-built polarizers, build a DC motor, and more! Five more cool science experiments! Launch a water rocket, learn how to build a laser microscope, track and record cloudy conditions, race mousetrap vehicles, and build a working cablecar that zooms across the living room! Five more cool science experiments! Whip up an indicator that detects Vitamin C levels in foods, learn how to freeze supercooled liquids by heating them up, spark together fruit batteries, crystallize laundry soap snowflakes, and perform a college-level chemical kinetics experiment safely right at home! 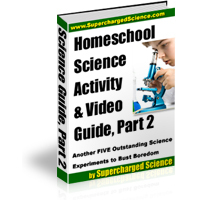 I'll show you how easy it can be to go from “Frustrated” about not having enough time or background for Science… To “Fascinated” by how your kids learn science better than EVER before because now they’re enjoying it! 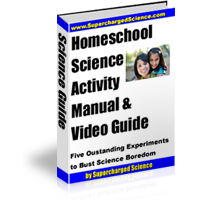 10 cool, easy-to-do science activity and experiment video that guide your kids step-by-step through each one. Experiments that use easy-to-find, inexpensive materials. Activities your kids can do on their own. a 26-page PDF guidebook that explains each experiment in detail, including the academics behind it. 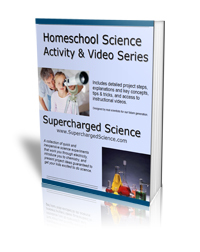 Activities that your kids have probably never seen before, AND that they'll learn real science from. Price: $40 Click here to order. 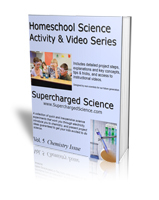 This is a "Greatest Hits" collection of the most popular science learning activities designed to help you get more out of your science education. 167 of our best science experiments that spark, zoom, buzz, and soar! Click here to view the table of contents. 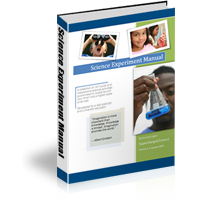 The Science Experiment Manual covers key experiments in Aerodynamics, Physics, Chemistry, and Engineering. When you place your order, you will be able to view and download this online product PDF.